Proterra has celebrated the opening of its new electric bus manufacturing facility in Los Angeles. 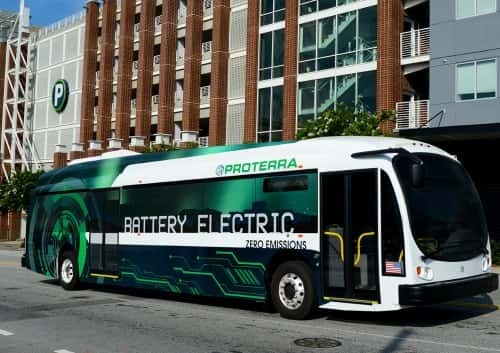 With transit agencies across the country committing to zero-emission battery electric bus fleets, Proterra says 2017 will be a critical year for ramping production to meet growing national demand. Aiming to cement its manufacturing leadership in California, Proterra’s expansion will support the state’s ambitious climate goals, help communities improve local air pollution, and create local high-tech manufacturing jobs.